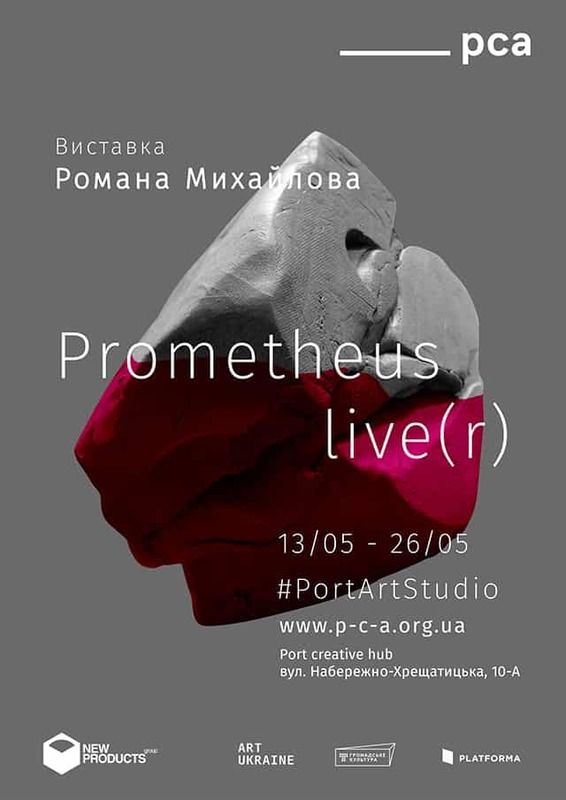 On 13 May, Kyiv will see the kick-off of the ‘Prometheus Live(r)’ creative project by Ukrainian artist Roman Mikhailov held within the framework of the young artist #PortArtStudio program, initiated by the Platform for Contemporary Art_PCA team and New Products Group. This time Mikhailov will be presenting an unusual sculpture in the process of continual transformation. At the Port Creative Hub, hosting the project, the artist will hang a massive object made of wet gray, the surface of which will be transforming being affected by time and air. The raised and heavy shape of the clay amidst a while space gives a sensation of an effort, preceding a collapse. As conceived by the artist, the sculpture – a symbolic Prometheus lever – reminds of the image of a human’s defender in the way of an irrational misery ‘swirl’. Roman Mikhailov’s ‘Prometheus Live(r)’ – is the third of the eight exhibition projects scheduled for 2016 within the #PortArtStudio framework and New Products Group’s support. The exhibition will be active 13-26 May (except weekends), 12:00-19:00, at the Port Creative Hub creative space at the address: 10-А Naberezhno-Kreschatitska Str., Kyiv.